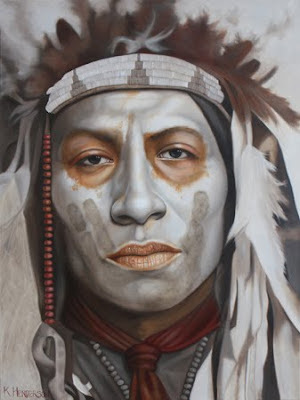 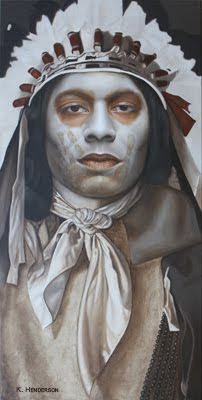 This Plains Indian has his face painted white with a black hand or coup mark. 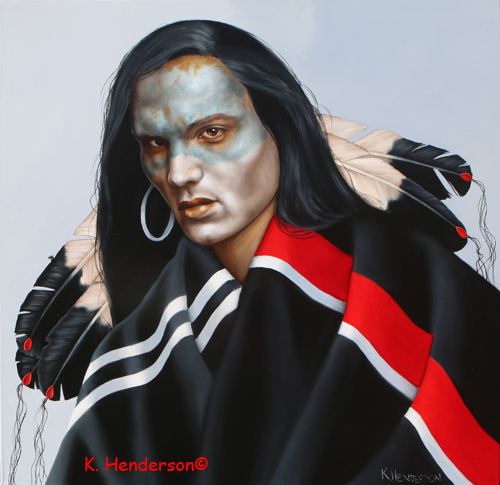 He wears a feather headdress with beads and ribbons. 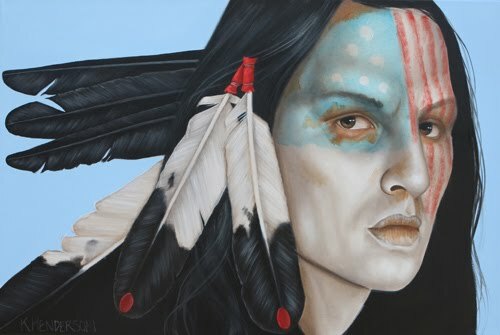 This Plains Indian's gaze captures you in a moment in time. 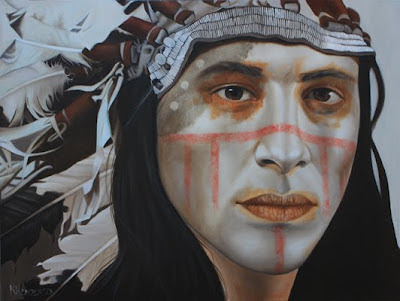 You can see his accomplishment with the many eagle feathers in his headdress.